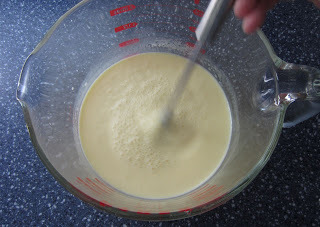 In a large bowl, melt the butter and stir it a bit so it’s not too hot. 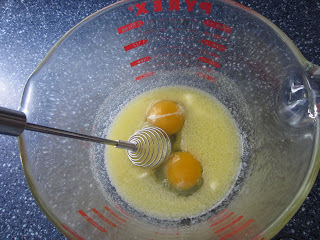 Whisk in the eggs after the butter is cool so you don’t accidentally scramble your eggs. That whisk-a-ma-jigger is called a spring whisk, and it’s my favorite for whisking eggs. Add in the milk and continue to mix. The flour comes next. 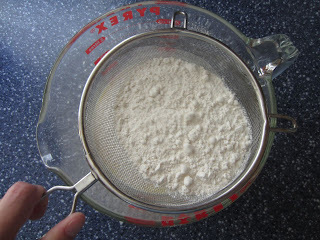 Put it into a strainer or flour sifter, and tap gently against the side of the bowl. Ladies and gentlemen, this is why we sift. Flour lumps are the diametric opposite of good eats. Push them through with your fingers until the lumps are broken up. Add the baking powder, salt, cinnamon, and brown sugar. Stir gently until the dry ingredients are incorporated. 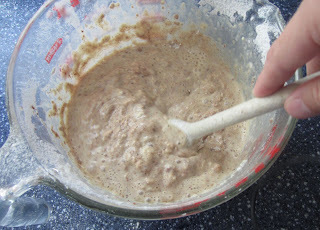 Pour in the oats and mix, mix, mix. Mmmm, can you smell the cinnamon? 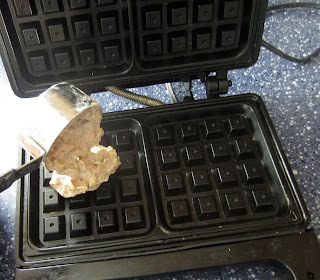 Scoop the batter onto your waffle iron (or griddle if you’re making pancakes) and cook until toasty brown and delicious. Do you top your waffles with syrup, fruit, peanut butter? Keep the debate civil folks, this is a family blog. The flour comes next. 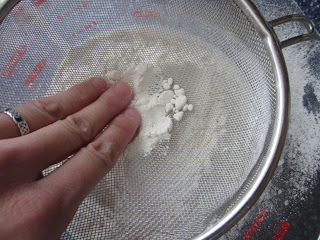 Put it into a strainer or flour sifter, and tap gently against the side of the bowl. 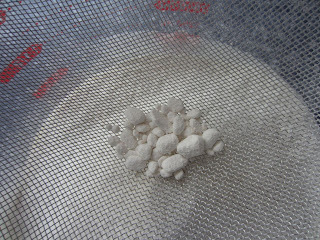 Push remaining flour lumps through the strainer. 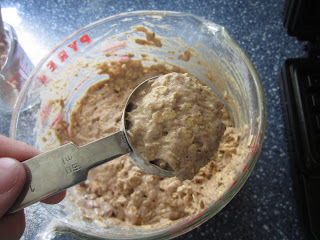 Pour in the oats and mix, mix, mix. What the heck is Swagbucks? My children really want us to get a waffle maker! When we finally do, every batch of waffles will have a hefty dose of cinnamon. It makes everything taste better! These look delicious! I’m going to make some this weekend and I’m sure my children will love them! You got me at hearty! My family would love these! tehehe all of the above at various times. But since w are now GF, not at all 🙁 Thanks for sharing with us. Hope to see you again tomorrow at Eco-Kids Tuesday!! These look awesome! Now who can I get to make waffles for me this morning? Thanks for sharing this on Wildcrafting Wednesday! Hope to see you again today! We’ve been on a french toast kick lately, but this would make for a perfect Sunday breakfast. We have syrup on our waffles. Thanks for sharing this over on Tuesday Greens! Thanks so much for sharing this on Foodie Friday awhile back. I’ve included it in a Round up of recipes on today’s linky. I hope you’ll stop by and say hi! Interesting. 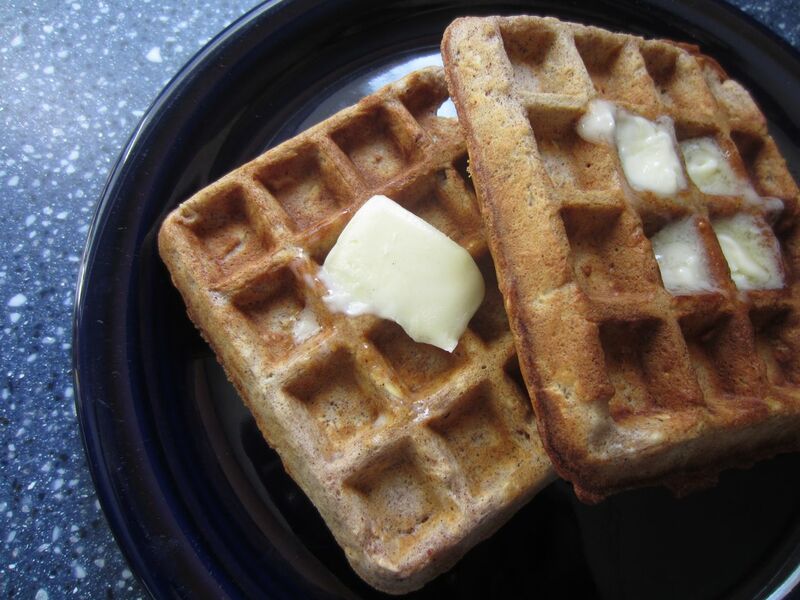 Never made oatmeal waffles. I eat powdered sugar and butter, or strawberries and sauce on my waffles. Thank you for sharing.